Pretty heady stuff for a man relatively fresh out of law school who would co-found the industry leading law firm in 2010 with his friend and ski buddy Christian Sederberg. The two men had met through a mutual friend in 2007 and shared a condo in Keystone, CO getting to know one another well after medical marijuana had passed in Colorado in 2001. Christian, at the time, was an attorney working at a small law firm in Denver focusing on private equity and real estate deals until that firm imploded after merging with a larger firm. In 2009, Brian reached out to Christian with the idea of starting a law firm focused exclusively on cannabis and the emerging industry and the two opened shop in May of 2010. In 2011, it was in the VS offices on Grant Street in Denver that Vicente, Sederberg, Kappel, Steve Fox (at the time Director of Government Relations at the Marijuana Policy Project and now Director of sister firm VS Strategies), and Mason Tvert (then-director of Safer Alternative For Enjoyable Recreation and now a Vice President at VS Strategies), began working on Colorado Amendment 64 which would set the wheels in motion for Adult-Use legalization first in Colorado and then nationally. Between 2010 and 2012, VS grew slowly, they added a few staff attorneys, Shawn Hauser (now a partner), Jordan Wellington, who heads up their compliance area, (he came over from the Colorado Marijuana Enforcement Division), Andrew Livingston who heads up the Economics and Research Department and Charles Alovisetti formerly a NY M&A attorney (and now a partner at Vicente Sederberg) to chair the firm’s Corporate Practice Group. Massachusetts attorney and now VS Partner Adam Fine, whose brother was a friend of Vicente’s, joined the team in 2012. Shaleen Title, now Commissioner at Massachusetts (MA) Cannabis Control Commission, cut her teeth with VS working with the team to draft the regulations for the MA medical marijuana program. At the outset, the firm focused on licensure, advising ancillary businesses, banks, foreign governments, political candidates and public regulatory groups like Pueblo, CO and Cathedral, CA to assist in drafting regulations. They were successful helping applicants win 10 of the original 22 licenses granted in MA with future VS partner Valerio Romano doing the same at a different firm. Romano was also a member of the drafting committee for Question 4, the 2016 ballot initiative that legalized marijuana for adult use. Steve Fox who has served of counsel with VS since 2013, launched VS Strategies in 2014-15 and serves as president of the group. VS Strategies is a government relation, issue advocacy, and strategic communications firm dedicated to advancing the cannabis industry. Their clients include government bodies, cannabis businesses, and other individuals and organizations seeking to shape public opinion and implement the most effective marijuana laws. Fox was also a founder of the National Cannabis Industry Association and has served as the organization’s strategic advisor for its lobbying efforts for the last year or so. 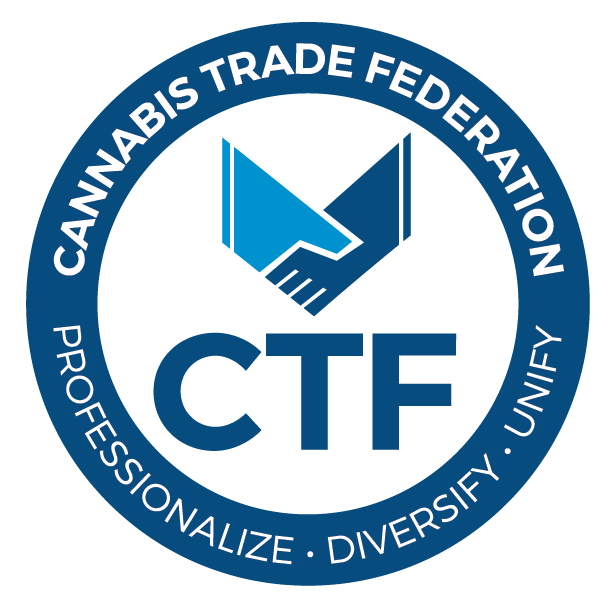 After serving on the NCIA board from 2011-2015 Vicente (Vicente was a founding board co-chair) and Sederberg did not seek re-election and VS is now a founding board member at the newly launched and competing Cannabis Trade Federation. When VS was launched, few law firms were all-in regarding the Cannabis Industry. They strategically positioned themselves to be just that as legal programs were developing across the US and internationally and looked at how large law firms were structured to build a team that could provide similar services to cannabis related clients. Their core competencies of advising states and regulatory clients and successfully representing clients pursuing licenses in these new and expanding regulatory state and local programs helped the firm attract the additional talent needed to staff their office locations and revenue opportunity centers in Denver, Boston, Los Angeles and Jacksonville, FL. Cassia Furman, a good friend of Sederberg from law school, was working as city attorney for Salida, CA before joining the firm and opening their LA office during the transition of the California regulatory program. She is now a partner for the firm as well leading a team of 10 plus employees in the dynamic CA market. Vicente has led the firm’s efforts in growing their merit-based licensing practice with great success. He and his staff have won licenses for clients in Arkansas, Connecticut, Florida, Hawaii, Iowa, Maryland, Massachusetts, Minnesota, New Jersey, New York, North Dakota, Ohio, Pennsylvania and Virginia to date and have ownership stakes in several licensees as well. VS is arguably the “Leader of the Pack” versus other successful consulting firms in helping clients win licenses in merit based regulatory systems. Sederberg heads-up the firm’s policy arena working closely with Fox from VS Strategies a large part of their work advising states in the midst of setting up regulatory programs or advising groups pushing for legalization initiatives in their respective states. The firm, largely due to their first mover advantage and years of working with legalization initiatives dating back to Colorado’s historic Adult-Use implementation, is the go to law firm in this capacity and is also clearly the “Leader of the Pack” in guiding and advising the cannabis regulatory community with unmatched experience and a successful track record that spans nearly a decade. The firm opened its Jacksonville, FL office in 2017, again largely due to the personal relationships that the two founders have accumulated over the years. VS Partner Sally Kent Peebles, who opened the office, was a colleague of Sederberg from his previous law firm in Colorado. Peebles, a native Floridian, was looking to move back to the Sunshine state and the timing of Florida’s rapidly expanding medical marijuana program and the licensing and regulatory challenges in the state represented a good opportunity for VS and Peebles. Like any other start-up in the Cannabis Industry, VS has had its share of challenges. With little case-law and very little institutional knowledge available regarding regulated cannabis programs, relationships with clients have been tense at times as VS guided them though murky waters. Relationships with regulators over rules and best practices, (that were and are still being invented each and every day) while advising clients that are making long-term strategic decisions that will affect their bottom-lines is a challenge each and every day. And as larger population markets like California or Texas come on board with their regulatory programs, rules change and morph on a regular basis, sometimes costing clients on both the private and public sides dearly in the short-term with unknown long-term consequences. That makes finding talent with experience a challenge, but the firm again has benefitted from their presence early in the development years of the rapidly expanding national cannabis industry. They have partnered with local firms like Barton Morris’s Cannabis Legal Group in Michigan as that regulatory system takes shape and the recently announced partnership with Offit Kurman, a firm that has a strong presence in the U.S. Mid-Atlantic region. Sederberg tells CBE that VS is shifting its focus International market development specifically Canada and has been developing relationships with attorneys in Europe as well. They also are looking to grab a piece of the growing lobbying business surrounding the Cannabis Industry and worked closely with new Colorado Governor Jared Polis in his election campaign. Government relations also offer opportunity for growth on both a state and federal basis (their board position with the Cannabis Trade Federation should be useful in building public and private relationships) and they continue to hire to shore up their knowledge base and experience from local pools of talent. Hauser leads the firm’s growing Hemp and Cannabinoids Practice Group efforts and the firm is positioned well to compete for its share of billings from this rapidly growing sector as well. The firm has also invested in Compliance start-up Simplify and Leafwire and have partnership stakes in several licensed operations as well. With a growing talent base of attorneys well-versed in regulatory structures by state as well as specific areas of the rapidly expanding cannabis case-law, VS has built a practice that now employees over 60 people. In 2018 VS generated over $12 million in revenues from their work from a diverse mix of Corporate, Regulatory, Merger and Acquisition, Start-up and General Legal clients and it doesn’t look like they all be slowing down anytime soon. Other law firms have built successful cannabis practices but no other firm has the deep experience that VS has built and exercised for its client base that clearly makes them The Leader of The Pack!